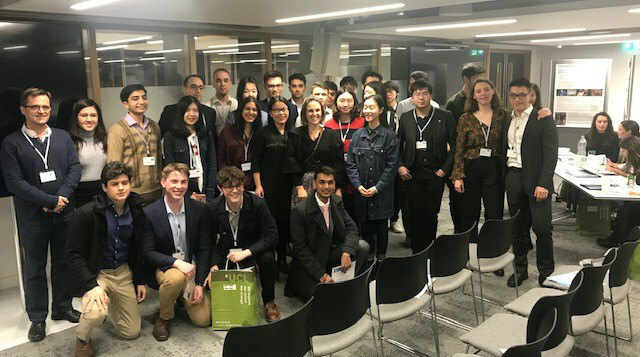 UCL Economics held it's fifth annual undergraduate research conference Explore Econ, on Wednesday March 13 2019. This high profile event was opened by Sasha Roseneil UCL Dean of Social and Historical Sciences and showcased independent work undertaken by students from all years. The work was presented as posters and presentations and in addition, the conference showcased the winning contributions of our First Year Challenge, a multimedia film project. Best poster: Fangning Hu and Yao Tong, BSc (Econ) Year 2, The effects of US-China Trade War on Income. Runner-up poster: Tiansui Tu, BSc (Econ) Year 1, A comparative analysis between the effects of universal basic income and the welfare system on income inequality in China. Best paper: Samuel Asher, Bsc (Econ) Year 2, Social identity and collective action in rebel armies. 2nd place paper: Om Kanabar, BSc (Econ) Year 2, Examining moral hazard in the NHS. 3rd place paper: Tao Chen, BSc (Econ) Year 3, First degree price discrimination and quality customisation under Data Protection Regulation: A spatial competition model. Full programme of presentations, participants and posters.